Whether you prefer turkey over ham or mac and cheese over mashed potatoes, there will be a lot of food to choose from. 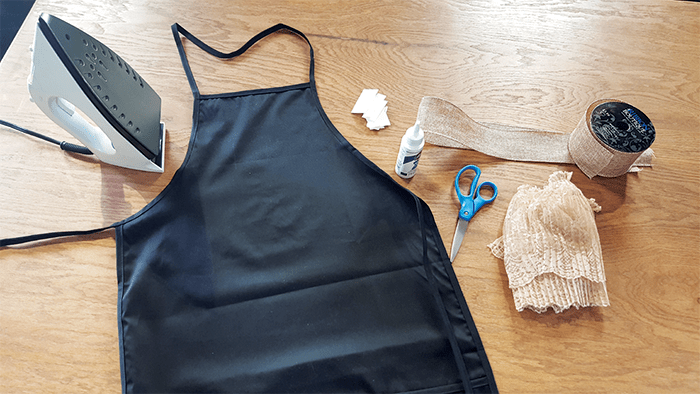 Prepare your Thanksgiving feast in style with this Thanksgiving Day apron DIY! Cut the yard of lace in half. Place the ribbon of lace on the bottom of the apron. Place the other piece above that to create a ruffled effect. 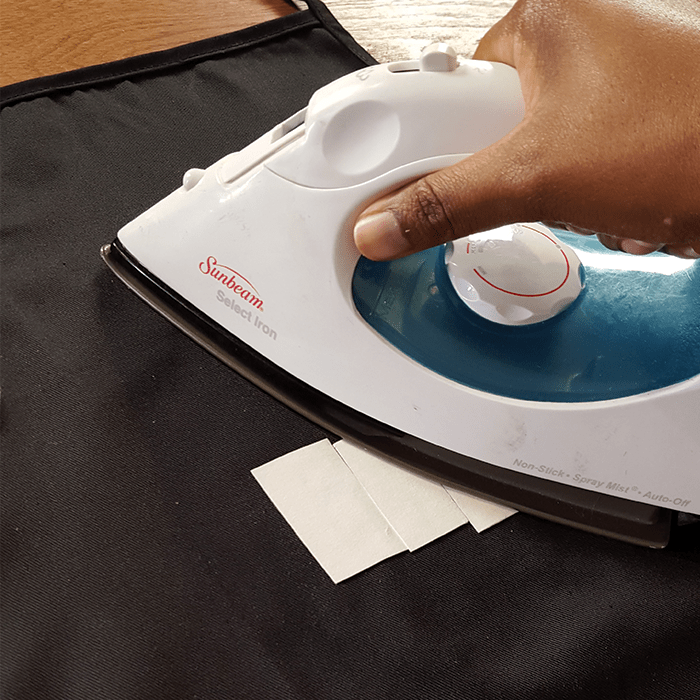 Using the fabric glue, glue them in place. This step is first because you want to give yourself enough time for the glue to dry. Next, cut out the letters needed for your apron. 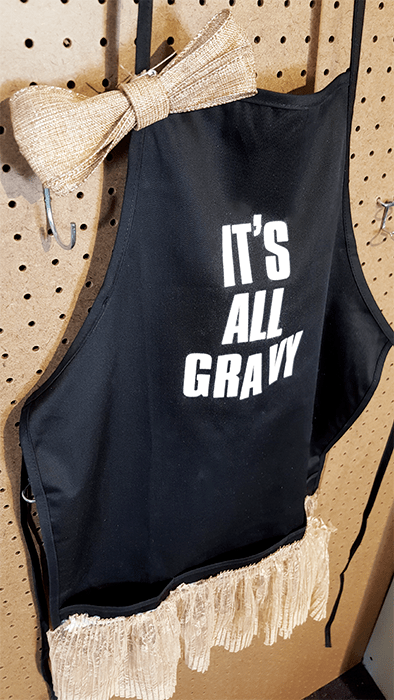 We decided that we wanted this apron to say “It’s All Gravy.” Other festive sayings include, “Got Turkey?” or “Thank the Cook.” Whatever you choose, cut the letters out and put them in position. For this particular brand of iron-on letters, the instructions say to place the letters with the paper side up, and then iron them for 10-15 seconds. Be sure your hand is firm, so the letters are really on there. Next, gently peel off the letters to reveal your saying. We decided to add a burlap bow to the side of our apron. The bow was created by overlapping the burlap ribbon onto itself. Another piece was used to cinch the middle, creating a bow. We used a regular safety pin to attach the bow to the apron. Allow the glue to completely dry and voilà, you have yourself a cute and witty apron to wear while you prepare your big feast! Personalize it by adding different embellishments or your name. We’d love to see what you came up with, so feel free to share pictures of your masterpiece!